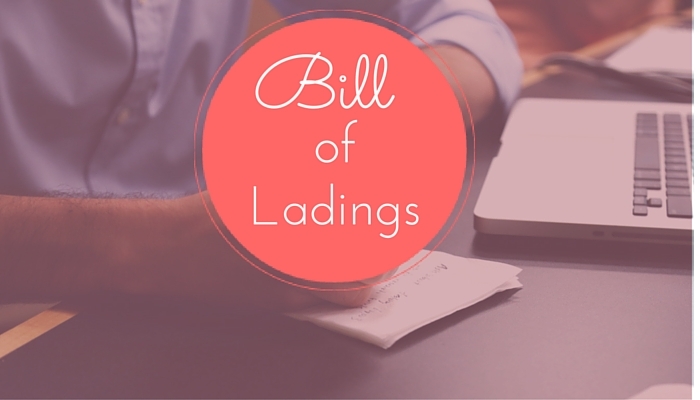 If you ask me to name one document that is most important in shipping trade, I would name it as Bill of Lading. Banks do not issue funds, if the bill of lading is not clean. Carrier do not release the cargo if they do not receive bill of lading. And carrier cannot escape from claim of liability for cargo damage against clean bill of lading. The commercial aspect of shipping trade revolves around bill of lading. It is thus important for Masters to be aware of all the situations they can be subjected to and how they should deal with such situations. 1) Bill of lading quantity not ready before vessel’s departure. This is particularly the case where EDP (Early departure procedure) is excercised. One such example is loading of crude oil in the port of Rastanura where EDP is common and vessel has to sail minutes after completion of cargo. This is also common where terminal takes more time for calculating shore figure loaded on board. 2) Terms and conditions for the bill of lading not yet finalised. This can happen if the format of the bill of lading is not yet agreed between the ship owners and the shipper (or shipper’s charterers). While they may still be communicating on the format of the bill of ladings, owners can instruct the agent to sign bill of lading on Master’s behalf. 3) The break-up of quantities not yet finalised. Sometimes the break up quantities for a commingled cargo is not finalised. 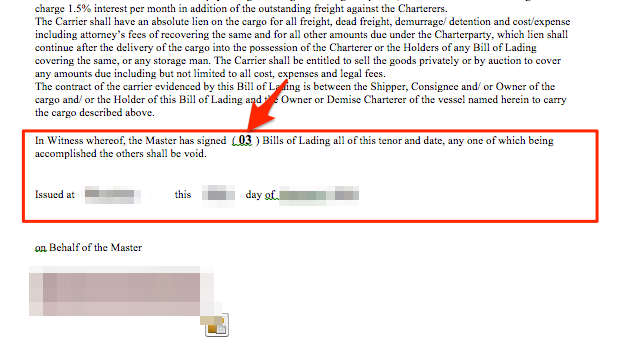 In such case charterers may request owners to have the bill of ladings signed later by agent on behalf of master. 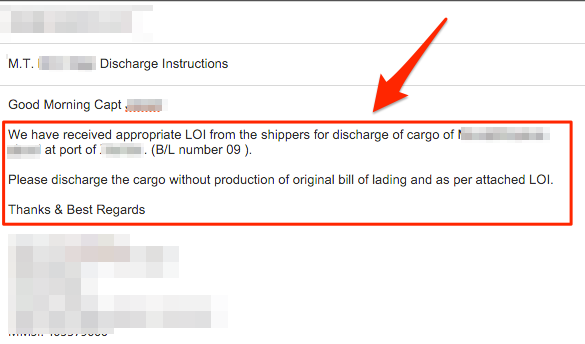 1) The LOA should highlight the fact that “bill of lading should be signed in strict accordance with the mate’s receipt”. And while we put this in LOA, it is prudent to double check for correctness of details in Mate’s receipt. 2) LOA should also instruct the agent to send the draft copy of the B/L to the owners for their approval before signing it. 3) LOA should instruct the agent to sign the bill of lading in strict compliance with the terms of the relevant charter party. 4) LOA should give as much detail to the cargo as possible. Each bill of lading to be signed by agent would require a different LOA. If the break up quantities are not finalised by the charterers, Master may require to issue a common LOA for each grade and later issue LOA with split quanities. Master should be more cautious with the letter of authorisations if the agent signing the bill of lading is not appointed by the owners. If Master has to sign the bill of lading, there are few things he should be aware of and conduct himself in a certain way. 1. Signing incomplete bill of ladings: In ports where EDP (early departure proceudres) is involved, shipper may present a blank or incomplete bill of lading for master to sign. No matter what, these should never be signed. 2. Format of bill of lading: The first thing for the Master to check is if the correct form for the bill of ladings is used. There are different kind of forms in use in shipping industry. These could range from the standard form from different shipping agencies, P&I club or shipping bodies. Or these could be a form that is formated by the ship owner to suit their requirement. Master must clarify with the ship owners as to which form is in use. One way for Masters to do this to ask the owners to send him the draft copy of the final bill of lading that he will be signing. Draft copy would have all the details of final bill of ladings inserted in it except the cargo quantities. Once the Master has the draft bill of lading, he can just compare same with final bill of lading before signing. 3. 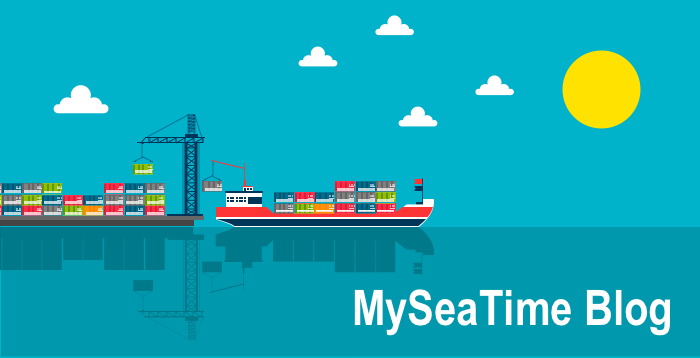 Date of Loading: Date of loading might look a small thing but wrong date on bill of lading can have major implications. Date of loading should be the actual date on which cargo was loaded on board. If the loading took more than one day, the date of completion of cargo should be inserted. If previous or post date is inserted into the bill of lading, shipowner might be at risk of claims from cargo interests. That is because the value of the cargo varies each day. Cargo buyer may have to pay more or less amount to seller depending upon the change in cargo price for that day. Whatever the change, someone (Buyer or seller of the cargo) will be at loss and they would pass this loss to the carrier. Even P&I clubs do not entertain these claims and these would finally be out of pocket expenses for the owners. 4. Correct Cargo quantity: Correct cargo quantity is most important information in the bill of lading. This is the information that is in direct control of master and his crew. If the vessel has received lesser quantity than the bill of lading quantity, Master should refrain from signing the bill of lading, even if terminal is ready to sign letter of descripency or letter of protest for difference in quantities. Master should follow the guidance provided in SMS manuals of the company or the charter party for the instructions to deal with such situations. Usually, charter party instruct the Masters to sign bill of ladings if difference in quantities is less than 0.3%. If the difference is more than 0.3%, master should refrain from signing the bill of lading and call P&I club after consulting the ship owners. 5. Freight Prepaid: There are usually one of these two statements regarding freight that would be bill of ladings. “Freight Prepaid” or “Freight payable as per terms and conditions of relevant charter party”. Clause “freight prepaid” implies that carrier has already received the freight. Master must never sign bill of ladings with the clause “freight prepaid” without express permission from the shipowners. This is because of obvious reason that if the freight is not paid yet, you do not want to sign a legal document that states otherwise. 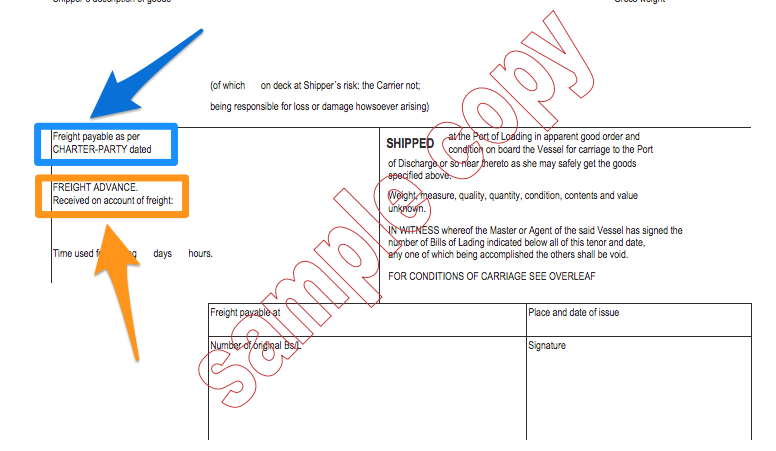 1) Request to sign bill of lading with ship shore quantity difference. Terminal may request master to sign bill of lading showing more loaded quantity than ship’s figure. The terminal may ask the master to issue letter of protest for discrepancies in quantities and sign the bill of ladings. The master may find himself under pressure for delays and terminal manager may on board with a letter of protest stating all delays will be on ship’s account. Another one, terminal demanding the vessel to leave berth within three hours of completion of cargo. Whatever the case, Master must not come under pressure to sign bill of lading which he thinks he should not sign. Generally, Master can sign bill of lading if the ship shore quantity difference is lesser than 0.3%. If the difference is more than 0.3%, master should request for P&I attendance and must never sign bill of lading unless matter has been sorted out. In one sentence, the request must be denied. 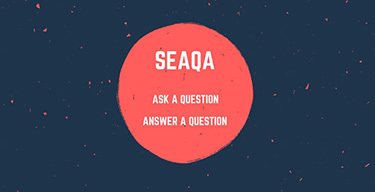 We have discussed earlier in this blog , the possible reasons for this request. In most cases the reason for this request is insufficient data due to EDP. Master should inform the owners and charterers if any such bill of lading is presented to him for signing. Shipper may request the master to issue clean bill of lading with a logic that clean bill of lading is required for letter of credit from the bank. Though true, but that is a problem shipper has to deal with and master must only sign the bill of lading which describes the actual condition of the cargo. Shipper may propose to indemnify master and owners of any consequences because of it. Master must resist from any of such pressures as there are huge risks involved in this. It does not matter if any indemnity letter was issued to master. If master issues a clean bill of lading despite inaccuracies, it will be assumed that cargo was loaded in apparent good condition. Owners would have little to defend for any cargo claims arising because of inaccurate bill of lading if clean bill of lading was issued by the master. Shipper may request to keep one or more than one original bill of lading on board and carry same to discharge port. Shippers does this to avoid the possibility of original bill of lading not arriving at discharge port before vessel’s arrival. This is particularly the case with short voyage where it is impossible for shipper to provide the original bill of lading at discharge port. Master usually signs three original bill of ladings and few of the non-negotiable copies of bill of ladings. The number of original bill of ladings signed by master is mentioned on each bill of ladings, usually on the bottom of front cover. None of these original bill of ladings can be carried on board to discharge port. If requested by shipper, Master must deny any such request as their are risks involved with this. The main risk involved is the change of ownership of the cargo while the vessel is enroute. If there has been change of title of the cargo, this would reflect on the two bill of ladings but not on the bill of lading carried by th master onboard. So the bill of lading carried by the master may not be showing correct details to whom the cargo belongs. The ship owner will have absolutely no defense in wrongful delivery of the cargo in this case. In these cases, sometimes owners need LOI in their own format. Also such LOI from shipper or sub-charterer is indemnifying the charterers but not the owners. Owners are not under any contractual obligations with sub-charterers and such LOI might not be enough to protect owner’s interest. So in this case owners might need a separate LOI in their format from the charterers (time) of the vessel. Very nice explanation sir. Could you clarify one more thing? If at the discharge port, if 3 persons come with the original B/L, whom shall the cargo be discharged to? Master need to accept the bill of lading that has been endorsed by the consignee. FYI bill of lading need to be endorsed by the consignee as "Accomplished" on back of the bill of lading with his stamp. Master need to inform the charterer, owners and all other concerned parties regarding the 3 persons claiming the cargo and only follow their instructions to discharge the cargo. sir this actually happened with us at romania but i was cadet at that time so did'nt have much knowledge then but we called p& i club after consultation with owner and they told u s to file a police complaint in dock station with agent and discharge cargo in port custody. These cases are rare these days but it can sometimes happen. Following the charterers & P&I instructions is the best thing to do in these cases as you pointed out. 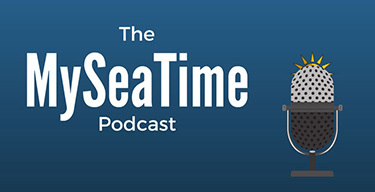 On tanker ships, and about date on Bill of ladings, the following questions arise as when is to consider the correct date of the bill of Lading. When the valves in the manifold are shut? when shore and ship quantities are reconciled? when hoses are disconnected?, when the time of completion of loading is agreed and reported in the SOF? It is loading completion time & date as reported in SOF. JUST TO CLARIFY IF A VESSEL IS IN TIME CHARTERS, AND HE HAS BEEN ASKED TO DISCHARGE CARGO ON PRESENTATION OF LOI,THEN HE MUST RECEIVE 2 LOI's, One from Shipper or Sub charterer indemnifying the time charterer and the other one from Time charter himself to indemnify the owners?? Both points are very relevant and accurate. If the partial cargo is to be discharged at some port, usually the B/L will be separated in such as way that one B/L does not have the cargo for two or more ports. So if the cargo of B/L number 6 is to be dischraged at Antwerp and rotterdam, then B/L 6A can be for Antwerp and B/L 6B can be for rotterdam. Now if after dischraging cargo as per B/L 6A, more cargo is to be loaded in B/L 6B to make it as different comodity, B/L 6B need to be cancelled and returned to the ship owners and a new B/L need to be drawn covering the cominglled (& new commodity) cargo. Sir,can master authorise Chief officer to sign the B/L in any case, the same way he authorises agent in case of EDP?? If No,then why?This question asked for master's orals in Spore.